HD Law Partners got the job done! We were moved from the beginning with their passion and expertise in the matter. Allen and Patrick not only kept us informed every step of the way, but they made us comfortable with the legal process. Overall we are pleased with the results and will highly recommend HD Law Partners to family and friends. Our interaction with HD Law Partners has been a truly wonderful experience. Ray and Patrick gave us full assurance that they would take good care of us and they did! Their confidence gave us hope and relieved a lot of the associated stress we were experiencing. I was impressed with their professionalism and responsiveness. Our situation was handled quickly and with good results! They promptly addressed all of our concerns, and did so in a way that made us feel comfortable. We would certainly use them again. Thanks Ray and Patrick. My experience with HD Law Partners has been nothing less of exceptional. The attorneys on my case were professional and responsive. I felt overwhelmed when my restaurant was being sued. I found HD Law Partners to be highly knowledgeable and personable. The attorneys assigned to my case were genuine and really seemed to care. They took the time to answer all of my questions and provided me with excellent advice. I also appreciated that Ray and Patrick were aggressive when they needed to be at trial. They worked diligently on my case and achieved a positive result for me and my restaurant. I would absolutely use them again. Ray has been there for my family and me in so many levels and platforms. The saving of our home, our reputation and our integrity. Ray is PRICELESS…a wealth of knowledge, determined and focused in all aspects not limiting to the law. It is an honor to have Ray in my family’s and my life… Thank you Ray – you are the best, and we appreciate you everyday – all day. My wife and I had never been involved in a lawsuit before and were very nervous about the whole thing but the professionals at HD Law Partners made us feel comfortable right from the start and were up front about everything. 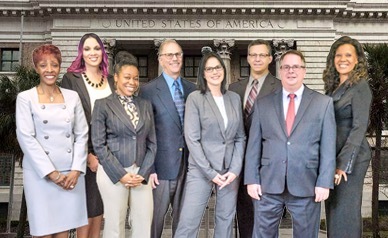 From our lead attorney Ray Haas to Patrick and Thomas to our paralegal Martha we felt totally respected, even though our case was small in comparison to others we were made to feel important and that we mattered. Phone calls and e-mails were answered promptly and anytime we had a question someone was there with an answer and we couldn’t have asked for better representation and our thanks goes out to the entire team at HD Law Partners for doing such an amazing job for us!